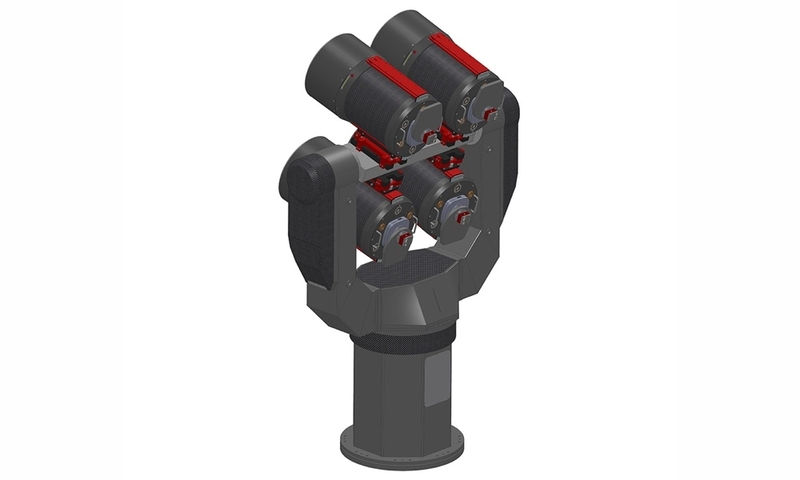 Officina Stellare OS Mount is THE altazimuth mount for telescopes up to 80cm (or smaller telescopes in array configurations). OS Mount is a professional mount, ready for every demanding user, perfect also for pointing and tracking of LEO objects. The structure is optimized for high stiffness and is designed to minimize any thermal deformation. It is available both with direct drive or AC brushless high torque motors on both axes. Availability and price on request, please contact us if you want to know more. Absolute Heidenhain on axis encoders are very precise, with a resolution up to 28 bits (0.004 arcsec) thus allowing real-time tracking correction on each axis and motion metrology as well. 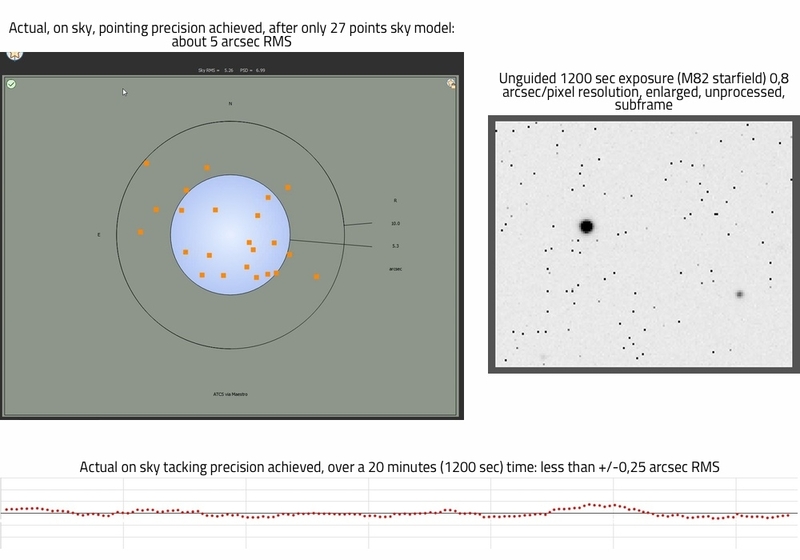 After modelling, the measured and working pointing error is tipically 5 arcsec RMS and the tracking precision is tipically +/- 0.25 arcsec RMS over a 20 minutes exposure. These are not theoretical values, but measured ones. The mount is provided with a fully featured software suite: The Sky X pro© with all optional packages included. This provides to the customer the capability to use the most complete and advanced modelling core available today: T-point©. So you can get your mount ready to use, for all kind of research works, including astronomical, satellite tracking and laser communication applications.